Tomato lovers, this is for you: sliced ripe tomatoes, creamy Burrata cheese, and fresh basil, topped with a tomato conserva and balsamic vinaigrette. The vinaigrette is also delicious over grilled fish, eggplant, or zucchini. 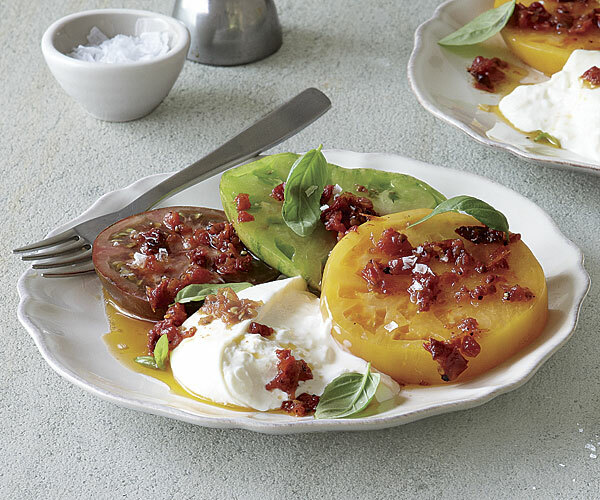 If you can’t find Burrata, substitute sliced fresh mozzarella. In a small bowl, whisk the conserva with the oil, vinegar, 1 tsp. salt, and 1/4 tsp. pepper. 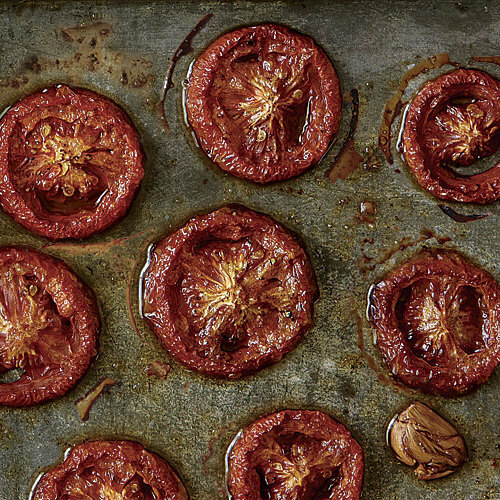 Arrange the tomato slices and Burrata on 4 salad plates. Scatter the basil leaves and drizzle the vinaigrette over the tomatoes and cheese. Sprinkle lightly with sea salt and serve.